A string of bad news about one of the most anticipated games on the planet might be giving BioShock Infinite fans cause for concern. But the game's creative director, Ken Levine, tried to allay concerns during a call with Kotaku today. He did so on the heels of us learning some surprising details about Infinite's development from sources close to the game. What we've gotten during the last few days from both Levine and our sources is an unusual amount of insight about the making of a major game. Some of it may fill Infinite fans with hope while other details may raise concerns. We've heard about cut multiplayer modes, the addition of a chief Gears of War developer to the BioShock project and the return of a former BioShock top talent, but also of team stress, struggles with core Infinite concepts and more. Currently slated for a February 2013 release, BioShock Infinite is a first-person action-adventure game set in the fictional floating city of Columbia during the early 1900s. From the moment Irrational revealed it in 2010, Infinite captured gamers' imaginations with its striking art direction, unique setting, political overtones and the promise of emergent, intelligent action. BioShock Infinite made a great impression at the Electronic Entertainment Expo back in June of 2011. But it seems like there might be some trouble afoot for the game. According to three sources familiar with the game, the development team has struggled to craft a full game that meets the promise of the early demos, experiencing some of the same problems that befall any ambitious game but also suffering some distinct troubles of its own. Two multiplayer modes have been cancelled and several key staff departures have coincided with an unusual twist: the executive producer of Gears of War director of production at Epic Games, Rod Fergusson, is rumored to be being brought in by the BioShock team to help finish the game. Update: Fergusson has confirmed on twitter that he is leaving Epic to go to Irrational. Art director Nate Wells and director of product development Tim Gerritsen, two key senior members of the creative team, are the latest in a string of staffers to depart Irrational over the past 18 months. Other departures include design director Jeff McGann, producer Joe Faulstick, principal systems designer Ken Strickland, senior level designer Steve Gaynor, and systems designer Tynan Sylvester, among others. Coupled with the departure of Wells, who has been a part of Irrational for more than a decade, and Gerritsen, it seems that a significant chunk of the core Infinite team is no longer working on the game. Ken Levine, BioShock Infinite creative director: "I don't think there's a single senior BioShock team member that isn't here." 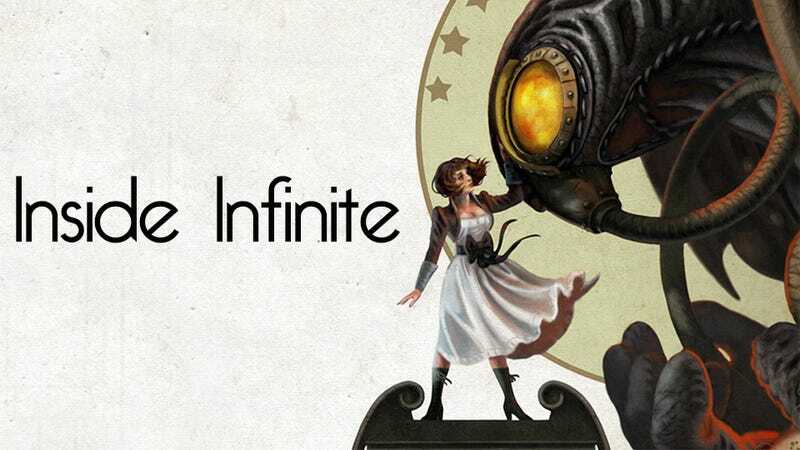 Irrational Games creative director Ken Levine addressed concerns about Infinite in a phone call today with Kotaku. "In a company of 200 people you're going to have turnover," Levine said. "We never like to see a guy like Nate leave because he's been here for a long time but it's been 13 years and I think sometimes people want to spread their wings. I'm not going to stop people. We love Nate and I think we all remain friends. After 13 years he sort of finished his work on BioShock Infinite, as you will be able to tell when you see the game again… I think Nate's moving on to something else." Levine was sure to point out that much of the remaining team worked on the first, beloved BioShock. "As far as the team itself, the lead artist, the art director, the creative director, the lead effects artist, the senior sound guy, the lead programer and the lead AI programmer from BioShock 1 are all on BioShock Infinite. I don't think there's a single senior BioShock team member that isn't here, which I think is amazing and a testament to their commitment to the studio. And there are a ton of amazing people who weren't on BioShock 1 that are on BioShock Infinite." Levine also said that Jordan Thomas, designer of BioShock 1's Fort Frolic level and of BioShock 2 has been "on loan" from sister studio 2K Marin for much of the year. Levine said Thomas still technically works for 2K Marin but has been working on Infinite for most of the year. The original BioShock, released in 2007, was a critical darling and a sales success. It cemented the team led by Levine as among gaming's elite. Gamers and developers have been hungry for Irrational's next game, and strong early showings and an impressive E3 2011 demo seemed to signal that the game was on the right track. Our sources describe the process at Irrational as lacking needed focus, with teams dedicating months to doomed projects only to have them inevitably get cut. One of the largest of those failed projects was BioShock Infinite's multiplayer. One of the largest of those failed projects was BioShock Infinite's multiplayer. The first mode involved players being miniaturized and placed into an old-timey arcade machine, where they would fight against waves of enemy toys that would roll out on tracks. It was essentially a cooperative tower defense game, but it never worked; the decision was made to can it so that the multiplayer team could focus on a second co-op mode. That mode, internally dubbed "Spec-Ops," was similar to the Spec-Ops mode in the most recent two Call of Duty: Modern Warfare games. In it, four players would cooperatively work their way through levels lifted from the single-player game. The mode wasn't working, however, and some of the multiplayer team was taken off of it and tasked with getting the 2011 E3 demo into shape. The Spec-Ops multiplayer mode has since been canned, and it's possible that despite Irrational's initial multiplayer mandate, BioShock Infinite will ship as a single-player-only game. Levine declined to comment on those specific multiplayer modes, but said, "As I've always said we are experimenting with things, and only if they are good enough will we put them in the game." The 2011 E3 demo, which wowed critics and gamers alike, was, apparently, far from indicative of the actual state of the game. Of course, that's par for the course at E3—it's common for developers to paste together a demo that deliberately shows their game and its concepts in the best possible light. All the same, the Infinite demo made a stunning debut despite the fact that the team was wrestling with the most basic elements of the game, from the story to the level design to the AI programming to how to design the sidekick character of Elizabeth, who can magically conjure weapons and in other ways affect the environment. Despite all this, BioShock Infinite won numerous "Best of E3" awards from various publications, including the Official E3 Game Critics Awards' "Best Of Show" citation. In May of this year, Irrational announced that they were pushing back Infinite's planned release date from fall 2012 to early 2013. The creators also announced then that the game would skip E3. That raised some eyebrows, especially considering that Infinite had looked so impressive at E3 a year prior. We asked Levine if people should be worried about the game. "It's always challenging when you're trying to make a game that does a lot of different things," Levine said, noting that designers can be drawn back toward what is safe and familiar. "Trust me, there are plenty of things in this game—either it was the Skyline [a roller-coaster-like apparatus that players can use to zoom about the levels] or Elizabeth—where there were movements in the team to get rid of them. Because they are the most challenging things." He said that these challenges have been much of the reason the game has been in development for such a long time. In a final twist, our sources report that Gears of War producer Rod Fergusson has been brought on to take over for Gerritsen and get Infinite shipped. When asked about this, Levine declined to comment; Epic has not yet replied to our requests for comment. Ken Levine has a nigh-unblemished track record, from Thief to System Shock 2 to the first BioShock. It's entirely possible that he and his team at Irrational will pull together a fantastic finished product. If they do, it won't be the first time a studio has overcome creative problems—well-received games like L.A. Noire and Red Dead Redemption were the result of lengthy, tumultuous development cycles. Levine remains committed to BioShock Infinite, and when asked if the game was still on track for a February 2013 release, he said, "It is currently on track." As the game's development drags on with no visible signs of progress, it's hard not to start to wonder about the state of BioShock Infinite, and when the game will actually see the light of day. "When you are trying to innovate," Levine said, "the path is not always clear and these things take time. But I guarantee this: The next time we show you guys the game the judge will be you, not me. " Update: Fergusson has confirmed that he's going to Irrational, tweeting "Yes it's true, I'm leaving my family at Epic to join my new family at Irrational in Boston starting tomorrow."